Episode 10: I spoke with Tommi Drake of Grant’s Pass Museum in Oregon about the Curtis Otto exhibition. Tommi was a personal friend of Otto’s and shared some inside stories about what a character he was and what his inspirations were, which was mainly his life on the West Coast. He had a really large collection of work, as he was always painting, but not interested in selling or exhibiting. Episode 9: Today I talk to Sarah Kate Gillespie, PhD, of the Georgia Museum of Art. We talk about the David Ligare’s ultra-realistic exhibition which is on loan to them from the Crocker Art Museum in Sacramento. Episode 8: On this episode I talk to Noelle Ocon of the North Carolina Museum of Art in Raleigh. We talk about the art of preserving these priceless pieces of work so that we can enjoy them centuries later. Episode 5: Today I talked with Lynn Verschoor about South Dakota, Homesteading, and why I’ve never heard of Harvey Dunn before. He’s the Midwest’s greatest secret. I’m going to try to have her on again. There is all kinds of great stuff coming out of South Dakota. 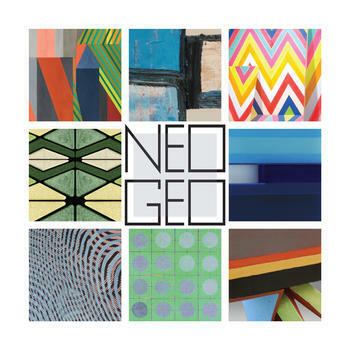 Episode 4: On this episode, I talked with Theresa Bembnister of the Akron Art Museum about NEO Geo which is going on until April 24, 2016. The exhibition celebrates the work of local artists from Northeast Ohio. Theresa didn’t know what to expect as she had never done a podcast before, but she did a fantastic job. She was even keen to schedule some more chats about other exhibits. We’ll be seeing a lot more from the Akron Art Museum.